With the holidays coming up, I wanted to make sure that Hubby received something amazing. The kids will make him a gift and he will love it. But I want to get him a little bit more. 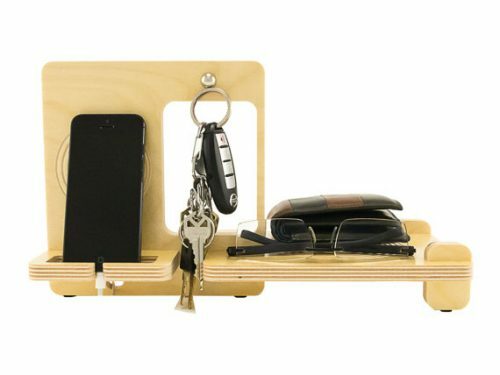 So naturally, I went to the best place to find unique gifts for dads, Etsy! He either buys my great gift idea for himself or he tells me what he wants. The first thing I thought of was a place for him to stash his stuff. I’ve checked out docking stations before, but they always seemed to look the same. Then I came across the KkornerInnovations shop. These docking stations are beautifully crafted and have an amazing design. I know he would really love a spot where he could keep everything together when he went to bed each night. My hubby also likes his beer… So I thought maybe a nice addition to his man cave, which in our house is the garage, would be nice. 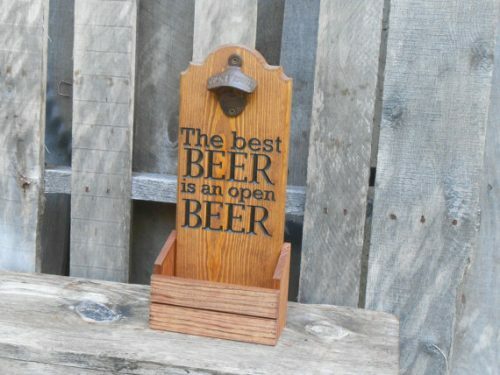 I Loved this bottle opener with a cap catcher. The perfect phrase made this the perfect addition to his favorite place to hang. Plus, I don’t have to worry about the kids finding caps sitting around the house…color sorting anyone? My hubby also has a thing about putting on a comfy t-shirt the minute he gets home from work. So naturally I had to check for something fun and new that he could add to his collection. I stumbled into these fantastic T-Shirt Sets and I’m LOVING them. 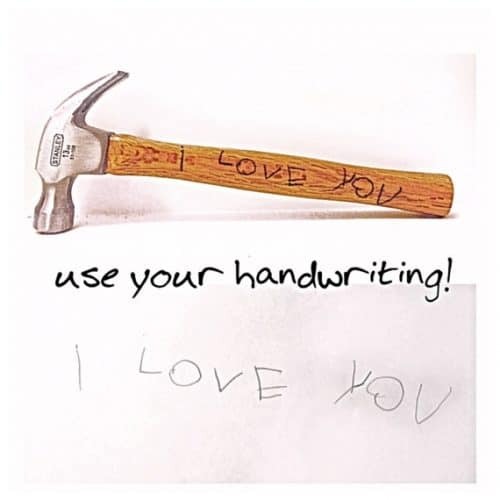 Not only are they clever, they are made with eco-friendly, non-toxic ink. Plus, I can see my hubby still wearing the T-shirt when it’s not father’s day! 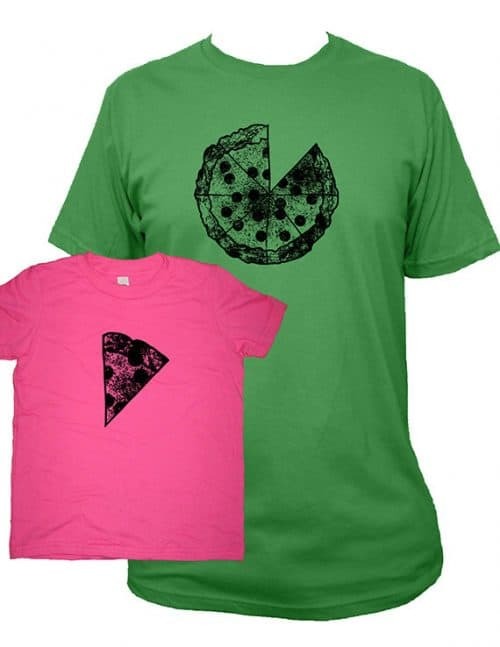 (I mean…it’s a pizza…he’ll wear that any day of the year!!) There are tons of other fun designs so you can mix and match to find the set that works best for your family. Now my hubby has Loads of tools, I’m sure yours does too however, this is one more that you need to add to his collection. This gift can literally capture a moment in time on something he’ll actually use! My kiddos are a bit too young this year, but I can’t wait to get this for hubby next year. Not only is the text burned into the wood, instead of a vinyl cutout, they use a quality Stanley hammer! All around good stuff, that he will love!! If there is one thing my hubby likes more than beer it would probably be coffee, and he could use a new mug. These mugs from theMugHermit are funny, without being too cheesy. There are so many fun options to choose from and they are high-quality mugs. 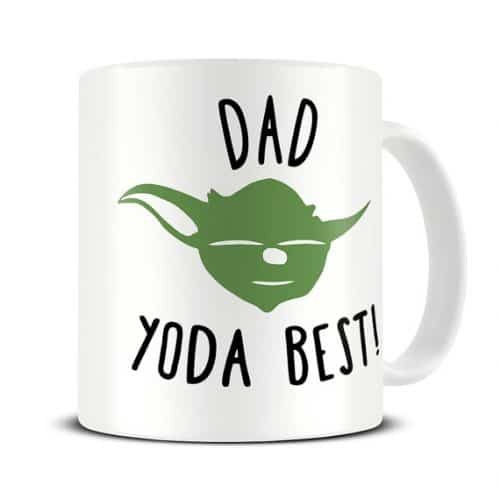 This one is perfect for my Hubby, since Little Miss loves saying “You’re the best”…and it usually comes out sounding more like Yoda, then You’re….plus, Star Wars. ***Note: These ship from the UK, so make sure you order them early to ensure you’ll get it in time. Once I saw Yoda it made me think of other movies my hubby likes. If it is Marvel or DC most likely he is a fan. This Christmas, I came back to this post and added some new items that I have found. 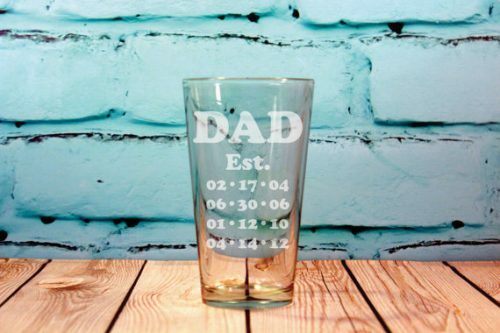 Check out these other Etsy shops for some unique gift ideas for dads. 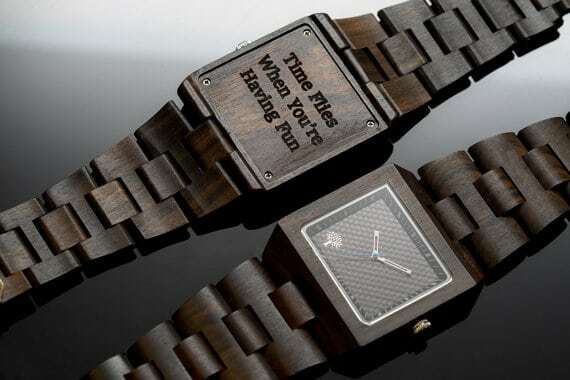 The watches created by LuxWoods are perfect for any guy on your list. Masculine and stylish, plus you can have them personalized. 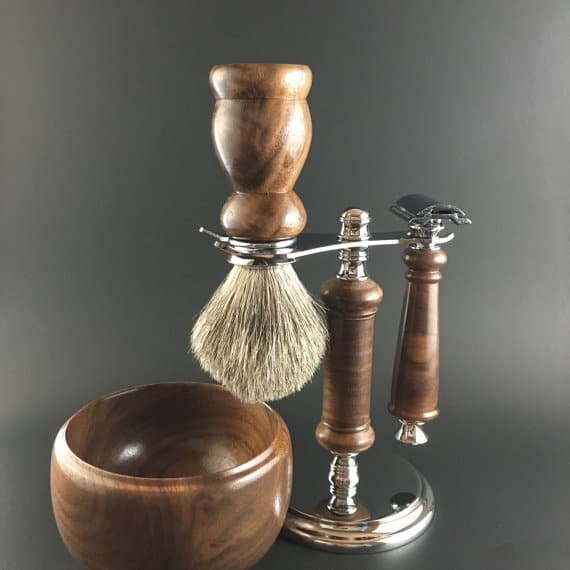 AlwaysTurning creates shaving kits that are beautiful and useful. Use the single blade or replace the blade with a more standard one, it’s perfect for keeping daddy’s face smooth. 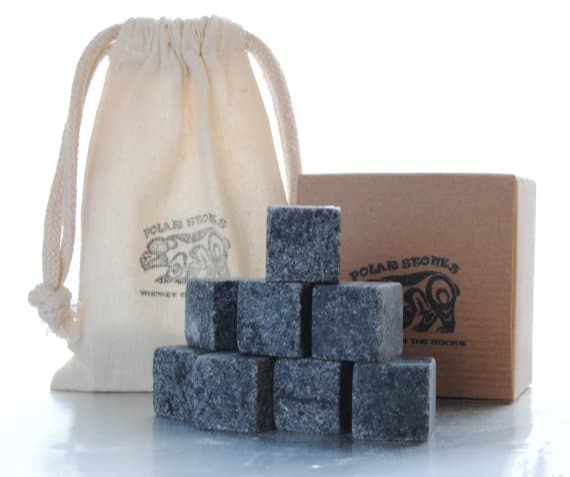 Help dad relax after a long day with whiskey stones from poloarstones. 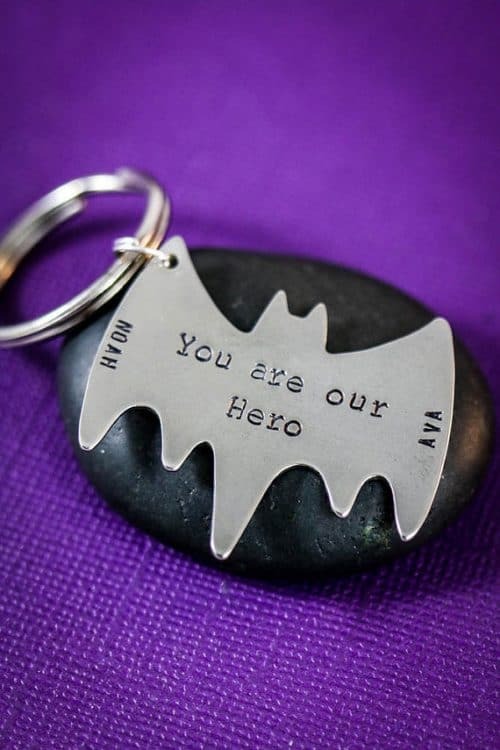 Check out the amazing gift ideas at KeepsakesEngraved. Create a personalized wallet or knife, perfect for any guy on your list. 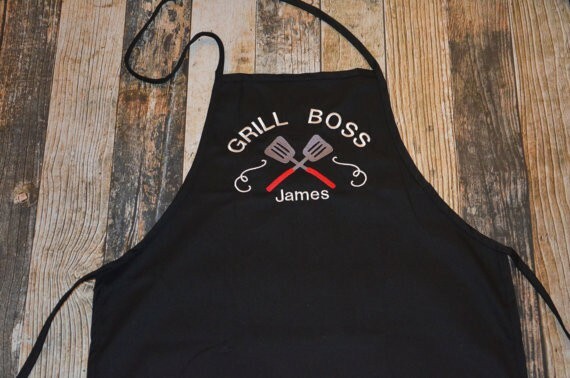 dkdEmbroidery has an apron for the grill master in your family. Check out their shop to see if anyone else on your list could use one of their fun aprons. 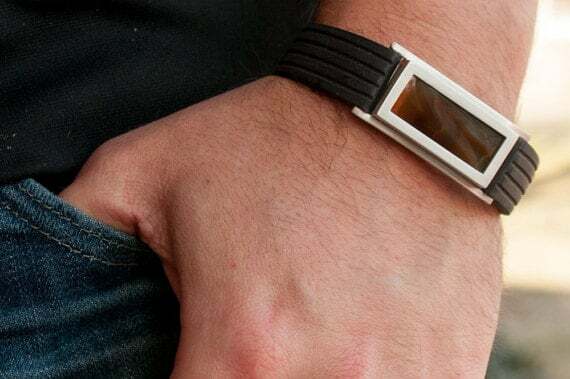 For the FitBit wearing man in your live, create a stylish look with CreekReflections. 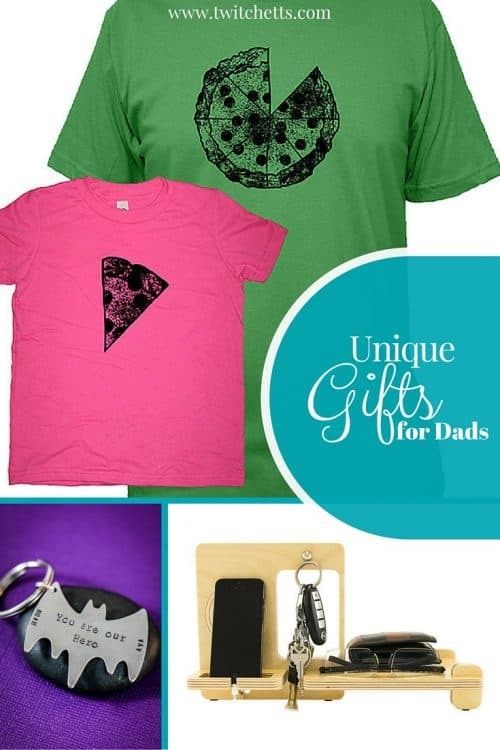 Now the only problem I have is choosing exactly which one of these unique gifts for dads I’m going to get him this year! No matter what I choose to get, I am happy that I will be shopping through Etsy. I love shopping small business whenever I can! Thanks for doing the leg work for me! I see a few things that would make My Man happy this year too!